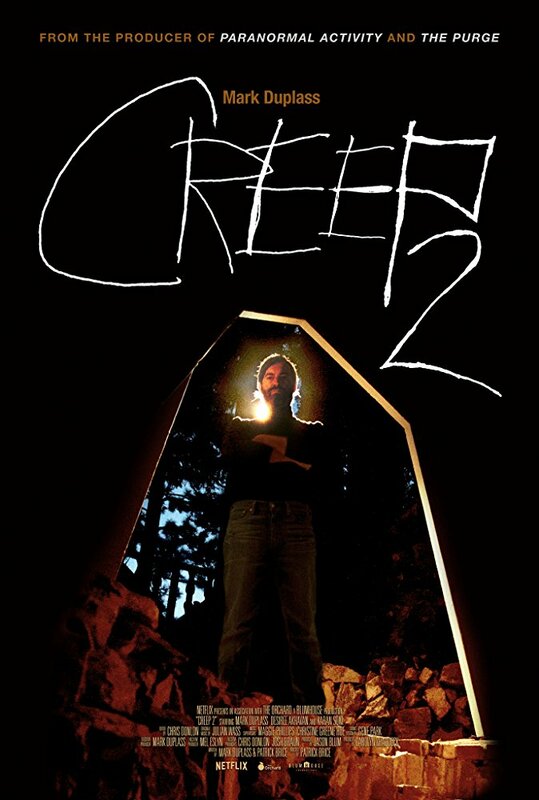 Creep 2 picks back up with Aaron (Duplass) in the midst of one of his spying/lying schemes to kill his latest victim. This time though, it's different. In his set-up to the murder he begins to confess about the stalker being him and that he has been feeling off in some way. The murder still happens but his speech continues as his victim bleeds out. He is having a personal crisis on if he still finds enjoyment in his "work." Enter Sara. She's her own brand of odd as she is attempting to create a YouTube show where she replies to random online dating ads and then tapes the strange encounters. After two failed episodes she has her own breakdown but in the morning finds an ad placed by Aaron. The two meet for Sara to actually tape Aaron's confession about being a serial killer, although she doesn't believe him. I liked the plot of this movie so much better than the first. Starting with this bizarre depressive crisis from a sociopath that doesn't get a thrill from the hunt anymore is such an odd but engaging concept. I found myself actually wanting to know where Aaron was going to go mentally. Sara also brings her own manipulations which just ups the ante and made me try even harder to figure out where this was going. I'm not going to say if any of those were right or wrong because that gives away too much. I will say this though: The ending of and the perceived endings of this movie left me fulfilled each time as a horror fan. Good job with the rally cap, Mark!